Balance a pole on your finger. Change how easy it is to balance by adding mass along the pole's length. Clear a classroom space, or move outside, to run this activity. It can be run alongside other activities (see lesson plans) so that only a few students are running this activity at one time. 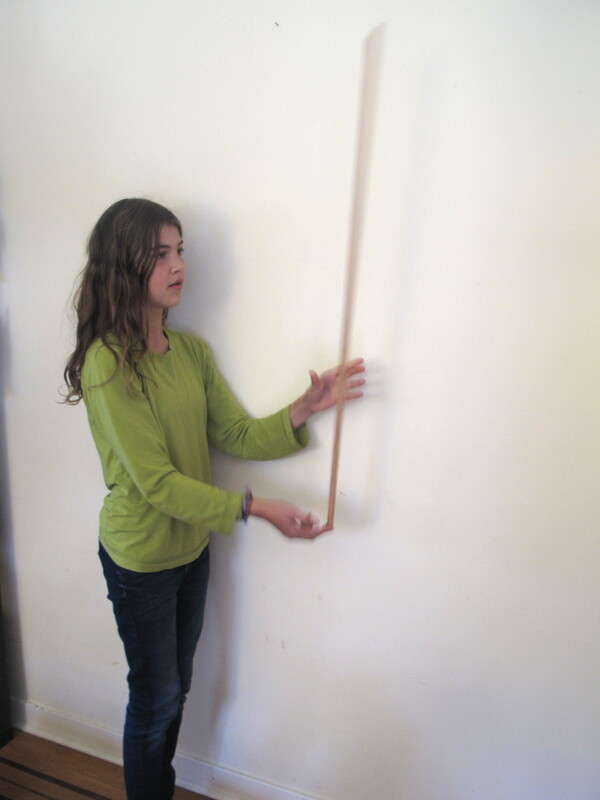 Ask students to choose a pole, and balance it on their fingers. They should do a few trials and count evenly, to see how long they can balance it, on average. Give each student a lump of play dough. Once they get a sense of how the play dough makes a difference to how long the pole can be balanced, they can try different pole lengths/different sizes of play dough balls/different positioning of the play dough on the pole. Give students some time to experiment, exchange ideas and to start formulating their own ideas to test. Then ask students to think about the forces involved in keeping the pole upright. Gather as a group to discuss the students' discoveries and ideas, including discussions of their ideas about the forces involved. No answers are wrong if they are reporting what they observed. When the pole has no play dough attached, the top end of it tips over quite fast. Our hand has trouble moving fast enough to adjust to this to right the pole again, so the pole falls over quite rapidly. With the play dough at the top of the pole, the pole tips over more slowly and gives you more time to adjust your hand underneath it, so you can hold the pole upright for longer. The top of the pole moves more slowly with the play dough mass attached because with the extra mass more energy is needed to move the top of the pole. With no mass added, less energy is required to move the end of the pole and so it moves faster. 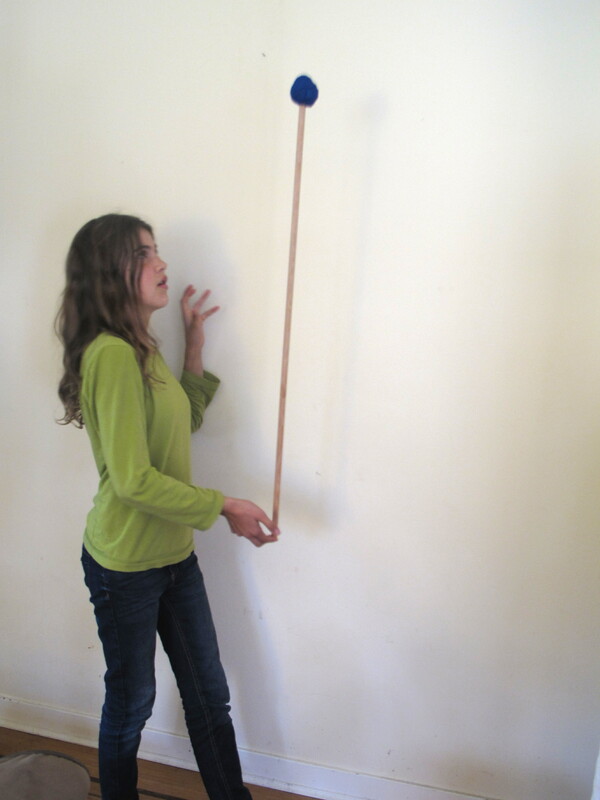 (Try flapping a pole back and forth with weight at the end - much harder than with no weight). If the above explanation is discussed with students, they might want to experiment further with moving the mass to different positions along the pole and comparing how easily the pole tips over (or how easy it is to flap the pole back and forth). Try recording the counts and graphing them.